Every four years, the world falls in love with figure skating. It doesn’t matter if we know any of the athletes or what a Salchow is. The skaters' sequins blind us and their spins make us dizzy. We simply cannot get enough of Olympic figure skating. As the 2018 Olympic Games come to an end in Pyeongchang, a different group of skaters, across the ocean in Oakland, dreams of taking home their own gold this weekend. 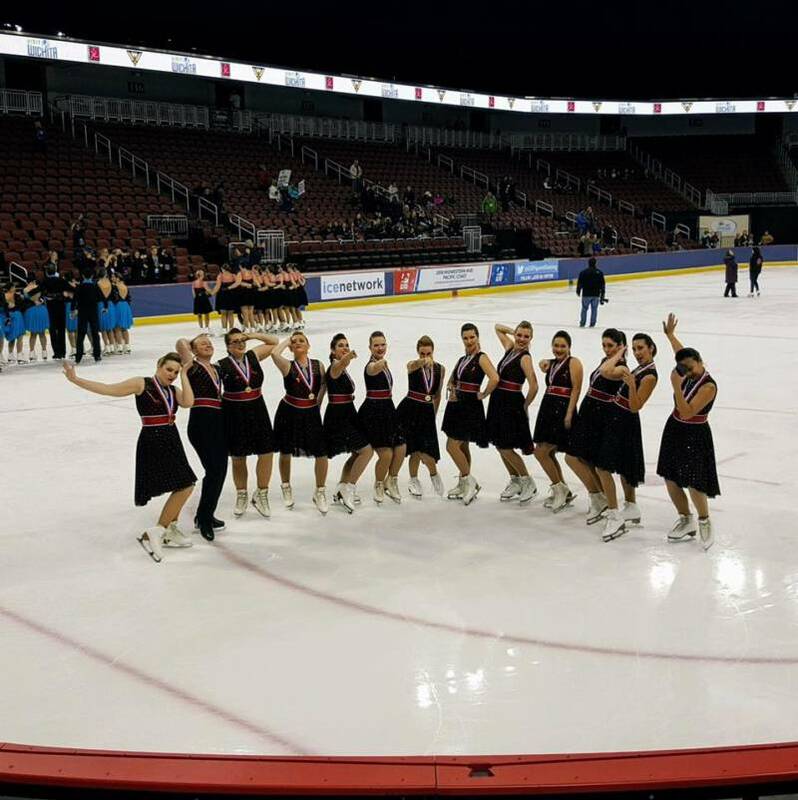 The IceSymmetrics are a synchronized ice skating team. They practice at the Oakland Ice Rink before the sun rises, wearing matching black IceSymmetrics hoodies. During a break, one skater glides to the side of the rink to grab her water bottle. Her brown hair is pulled into a sleek ponytail, and she’s wearing a black fleece headband. She looks like a pro. But Robyn Fernsworth is not a professional ice skater; she does public relations for technology companies. On the team, there’s also a lawyer, a real estate agent, a human resources rep and a teacher. See, most Olympic figure skaters peak in their 20s. But one of the rules of the IceSymmetrics is you can’t be under 25 to join. 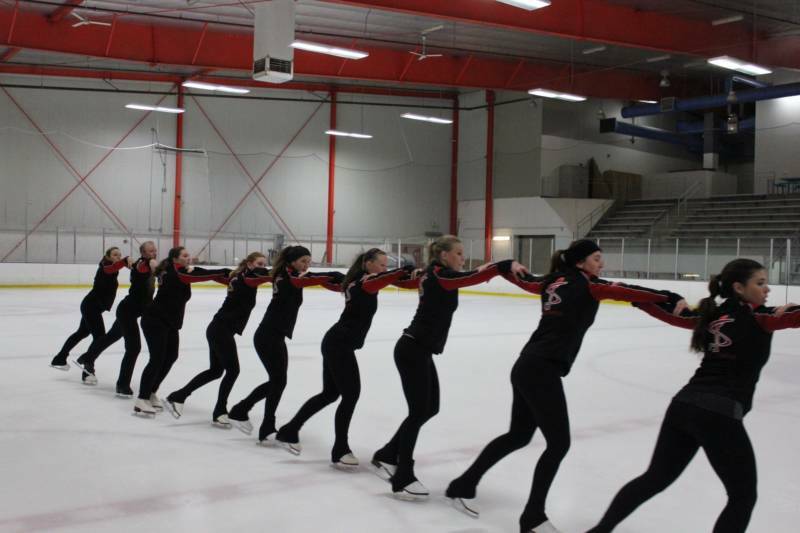 You may have never heard of synchronized ice skating, but it’s a big deal. The sport draws 5,000 skaters nationwide to compete each year. This year the IceSymmetrics beat their Denver rivals to become the West Coast champs for their age group. Now they’re gearing up for nationals. As Elvis Presley music echoes through the empty bleachers, the IceSymmetrics run through their routine again and again, trying to make sure every leg kick and finger point of their 3½-minute performance is completely in sync. "We have to do all of our steps together at the same time on the same beat," explains Fernsworth. "It's not easy because sometimes people might count a little faster, so we're kind of counting and listening to the music at the same time. And breathing!" I can barely stand on ice skates, so the idea of skating in sync with 13 other people sounds impossible. But for Fernsworth, ice skating is like second nature. 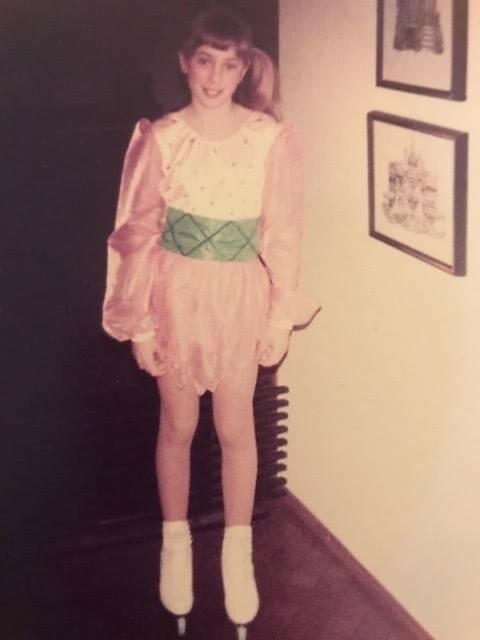 When she was 9 years old, she started skating at the Charles Schulz rink in Santa Rosa, a 10-minute drive from her house. "I just always loved being on the ice. It's so smooth, gliding. And it’s thrilling because you're going fast," she says. Fernsworth is 46 years old now. 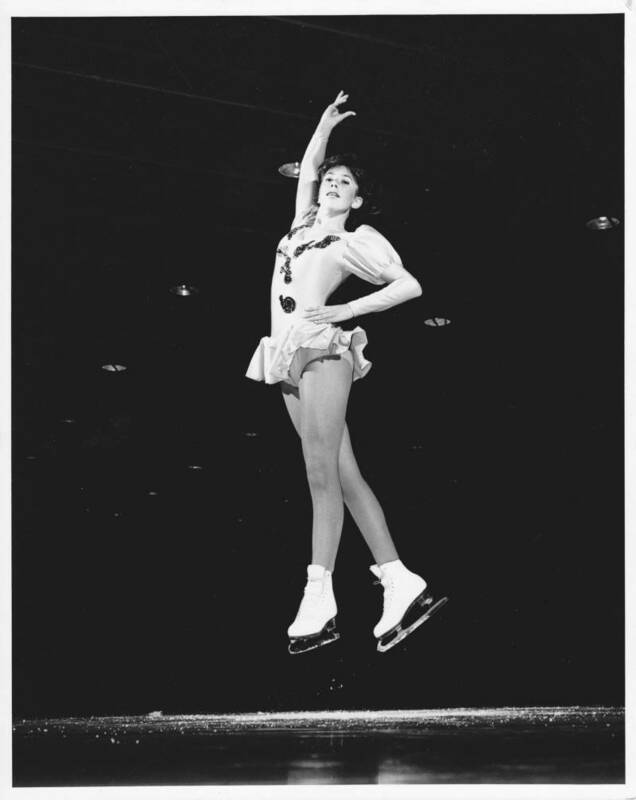 She skated competitively until she was 19. And then she made the choice that a lot of young athletes have to make. "I left to go to college and have a career and have a family," she says. 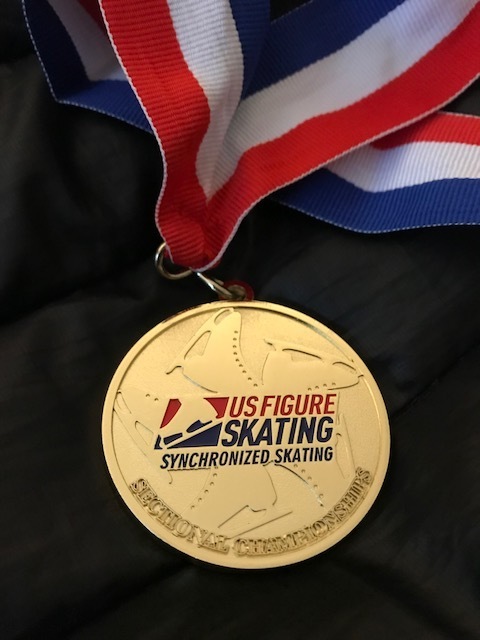 But she always kept her ice skates in her closet, until a few years ago, when a friend encouraged her to try out for a Masters team, for skaters 25 and older. Fernsworth says her muscle memory is strong, but all those loops and Axels have taken a toll on her body. "Spinning is fine, but I get dizzy. So these are things that happen when you're an older ice skater," she says. "I was like, 'OK, I can't get myself off the ground as easily.' And when I spin I'm like, 'Whoa!' 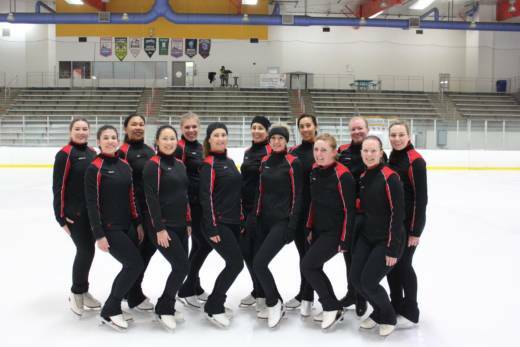 "
This weekend, when the IceSymmetrics travel to Portland, Oregon, for the national championships, they’ll be facing some tough competition from Midwest and East Coast teams. But medal or no medal, Fernsworth has already reaped the rewards of getting back into skating. "As an adult and as a parent, and [with] your job, you know you're so stressed working," she says. "So it's great to have an outlet where you can work out your mind, work out your body, and just do something for yourself." Toward the end of practice, a pair of skaters works on a tricky move for the finale. One woman squats, spinning and holding onto the forearms of another woman who is spinning on her back, just inches above the ice. I looked this move up. It’s actually called a death spiral. And these skaters -- these lawyers, teachers, parents -- they nail it. They wake up before dawn to do something that is so hard, that so many of us watch on TV but never dream of trying in real life. No one’s paying them to do it. Their knees hurt and they're tired, and they love it.